Back in late April, I decided that my Mother’s Day gift (yes, my husband and I choose our own gifts!) 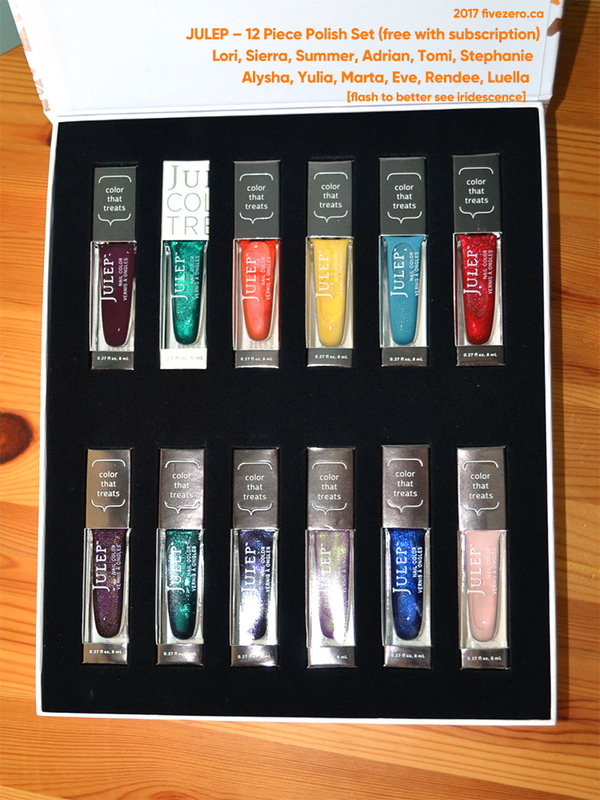 would be a 6-month subscription to Julep, the popular nail polish & beauty box that I’ve somehow never tried. What kind of polish fiend am I, anyway, you ask? I mean, I’ve not even been tempted by the rare, random Julep polishes that show up at Winners. 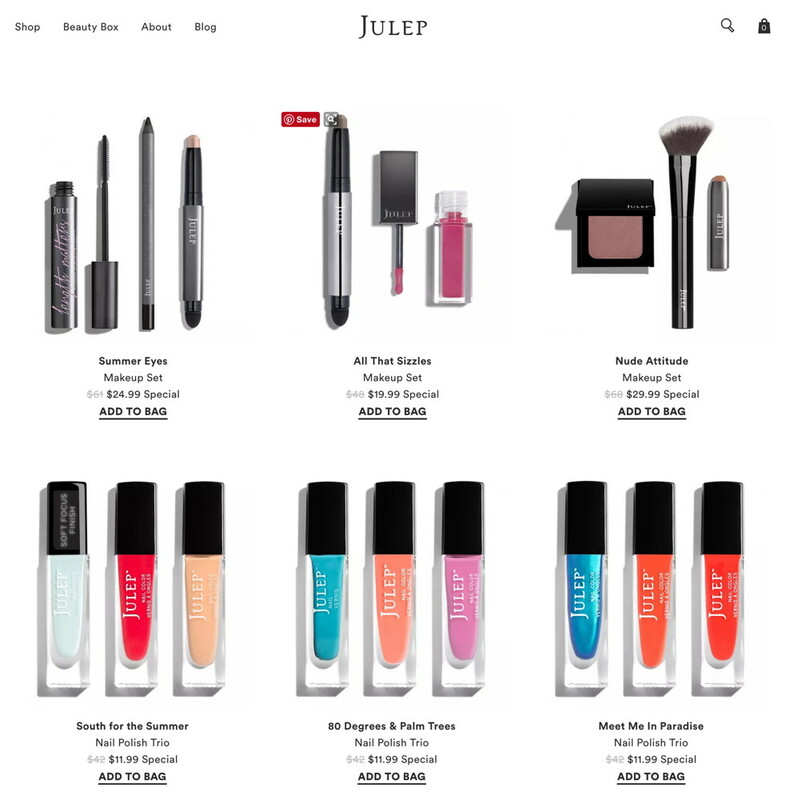 I think I’m a little bit put off by the unwieldy bottle design, but once I really started looking at Julep’s site, I noticed so many pretty shades that I suddenly really, really wanted. Now here’s where a little trouble began—though I will say right off the bat that Julep made everything good in the end, so I am very happy with my first Maven Box and welcome gift. I subscribed at the end of April, without realizing that Julep start shipping out their boxes at the end of each month, so I’d just missed the cutoff for May’s Maven Box, and would receive my first box in June. Great. On the positive side, Julep shipped out my free gift straightaway, so I was rubbing my hands together in sweet anticipation! Unfortunately, week after week passed and Landmark Global’s tracking never changed from the initial stage (sitting somewhere in Ohio). All right, I told myself, you are in Canada after all, and customs can take forever! Maybe Landmark’s tracking just doesn’t update once the package is in Canada. But I waited a month, and still nothing! So I contacted Landmark (twice), who completely ignored me (twice), and then I contacted Julep. Right away, Julep apologized for something that was obviously not their fault, and they sent me a new gift last Thursday (around the same time my June box shipped!). With this package, Landmark’s tracking actually worked all the way through delivery in Canada, and both my Maven Box and welcome gift arrived yesterday! Hooray! The welcome gift comes in a gorgeous box! 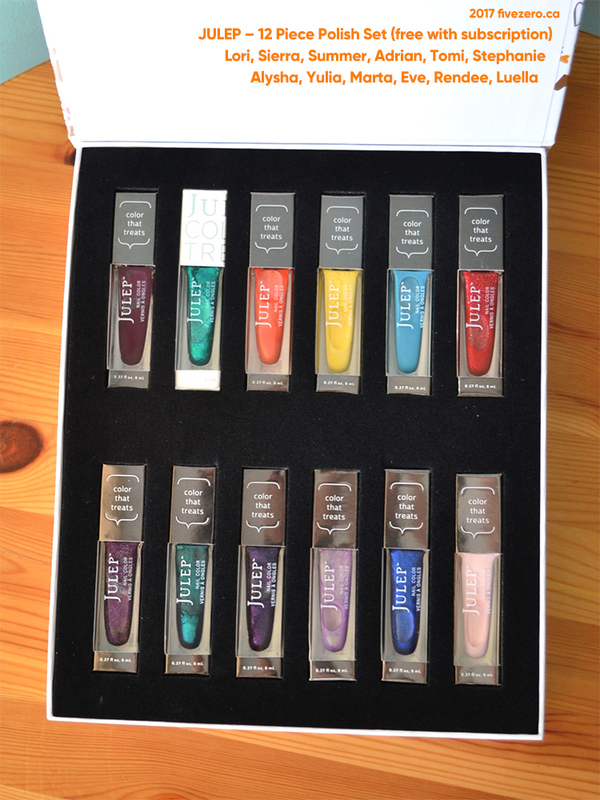 I’d already been going through Julep’s website and adding polishes to my wishlist. I was so happy to see that Alysha and Yulia (two of my biggest wishlist polishes) were included here! Really, the whole set is totally me—with the exception of Luella, the pale pink—and it’s such an awesome gift with purchase to get as a new subscriber. I don’t think the color selection is the same every time, since the promo pic shows a different set from what I got, so I feel very lucky. Onto the Maven Box! 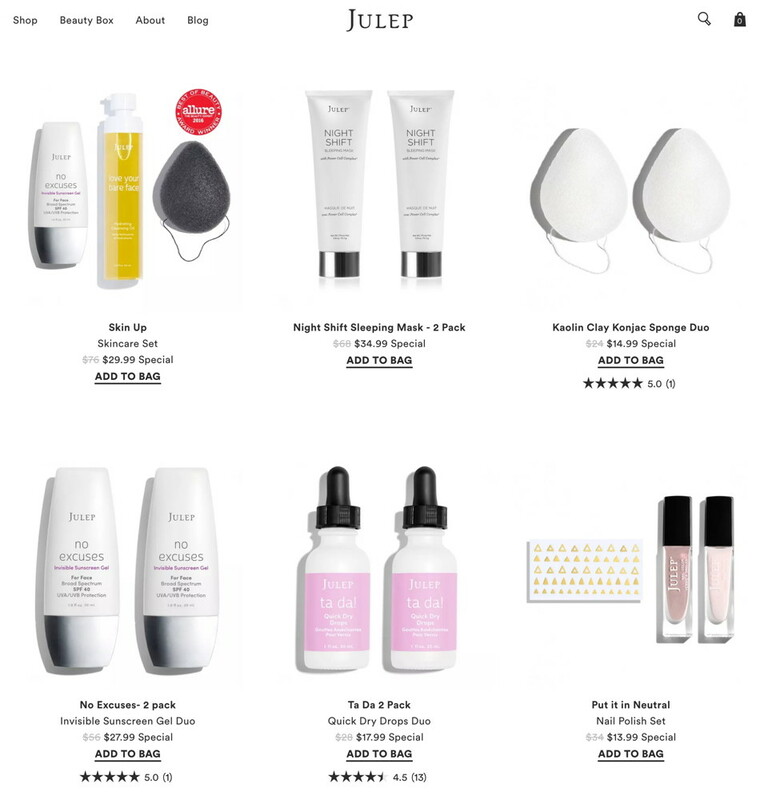 Julep offers two subscription tiers: Maven and Maven Luxe. Maven gives $40+ worth of products for US$24.99/month, or $19.99/month for a three-month prepaid subscription. The deal I got was $16.66/month for a six-month subscription; I’m not sure why it didn’t show up on the website. Julep also offers some excellent perks over many other beauty boxes. For example, you get to completely customize your box, based on a sizeable list of options they offer each month. It’s not the entire catalog (which is huge!) but judging from the options I was given in June, it’s very, very reasonable with a lot of variety in the selection. You can also choose to skip as many months as you’d like, even with a prepaid subscription! Or, you can choose to send your box to a friend. The main drawback, of course, is that Julep only sells their own brand. I personally went with a 6-month subscription so I’ll have ample time to try out a lot of products from their catalog: along with nail polish, they have beauty staples like lipstick, eyeshadow, eyeliner, mascara, blush, foundation, makeup brushes, etc., as well as a good amount of skincare, much of which seems to be Korean-inspired. 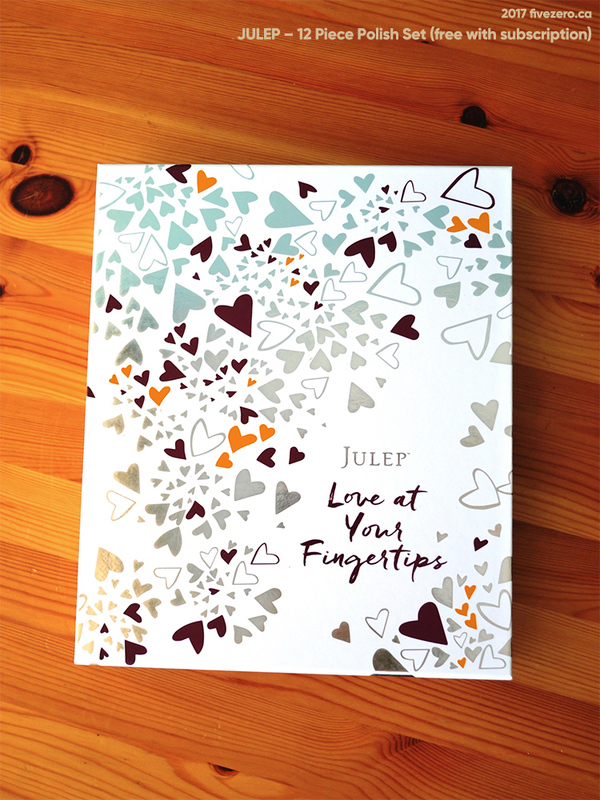 Julep also offers Jules, which are points you collect with certain purchases, which can be redeemed for products in the Jule Box. At the beginning of each month, a “Secret Store” opens, and for a few days you have the option of purchasing the deals in this store. I’m tempted since the store is currently open, but I think I’ll try out my new polishes before I spend more money! Then, from the 20th–24th of each month, your Maven Window is open, meaning your monthly box is available for customization, if you choose to do so. Doesn’t seem too shabby at all for US$16.66, shipped! As a side note, the permeable aspect could be a big one for Muslims who choose to wear only nail polish that allows water to permeate through to the nail. Julep only claims oxygen permeability, and I couldn’t find any info about whether it was also water-permeable. The polishes are all boxed; they’re not useful boxes apart from having ingredient info, etc., printed on them, so I’m just going to recycle them. 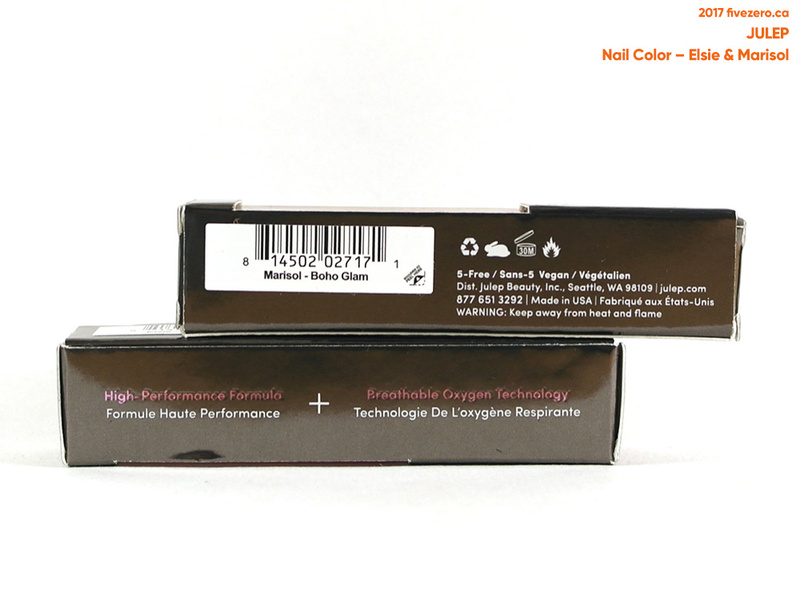 Each polish is 8 mL and comes in a skinny rectangular bottle. I feel like this is a very awkward shape that will tip over far too easily, but I guess I’ll find out. I’m sure there are ways I can use to stabilize the bottle. The bottles also come with “Swatch Me!” stickers on the caps. I don’t really see the point of these, but they’re removable if you don’t want to use them. 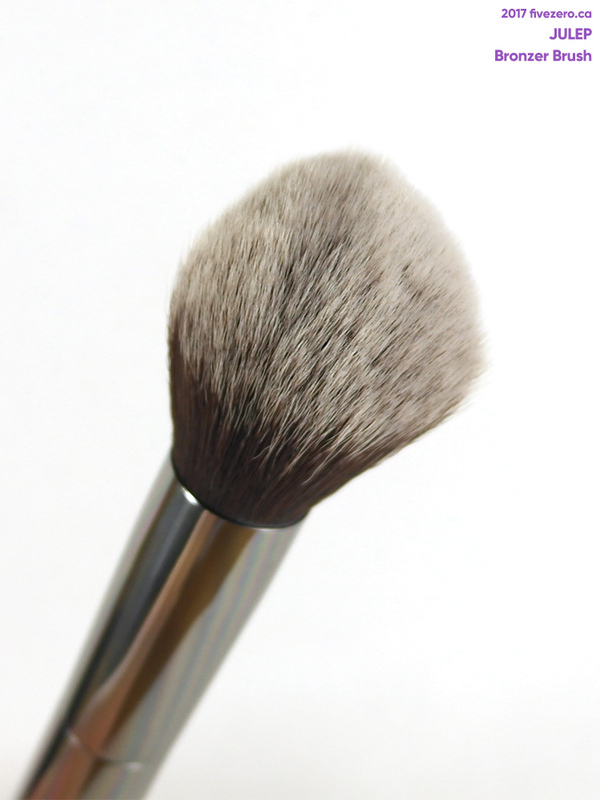 The Bronzer Brush seems quite nicely made. 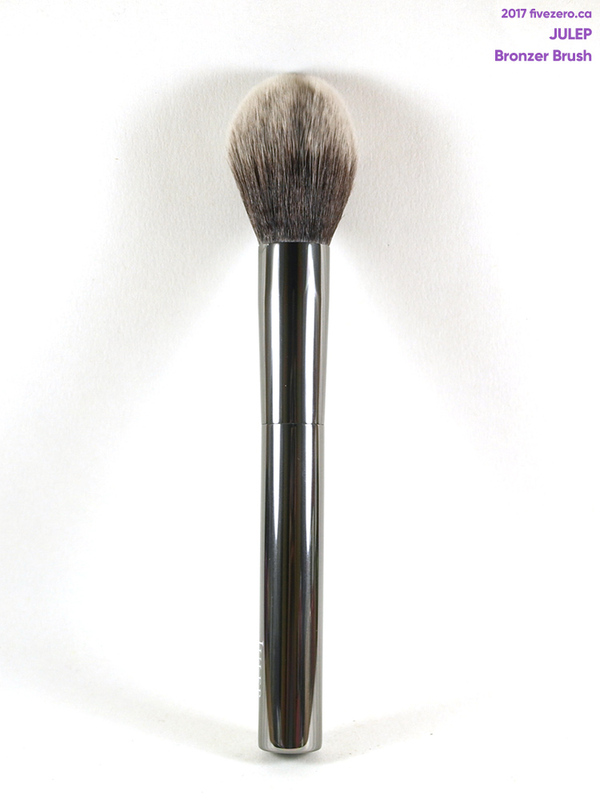 The handle is metal and very solid feeling, and the synthetic bristles feel good. I’ll test it out with my new tarte Bronzer/Blush. Next month, I definitely want to try one of their much-talked about eyeliners. If you have any Julep recommendations for me, please let me know in the comments! 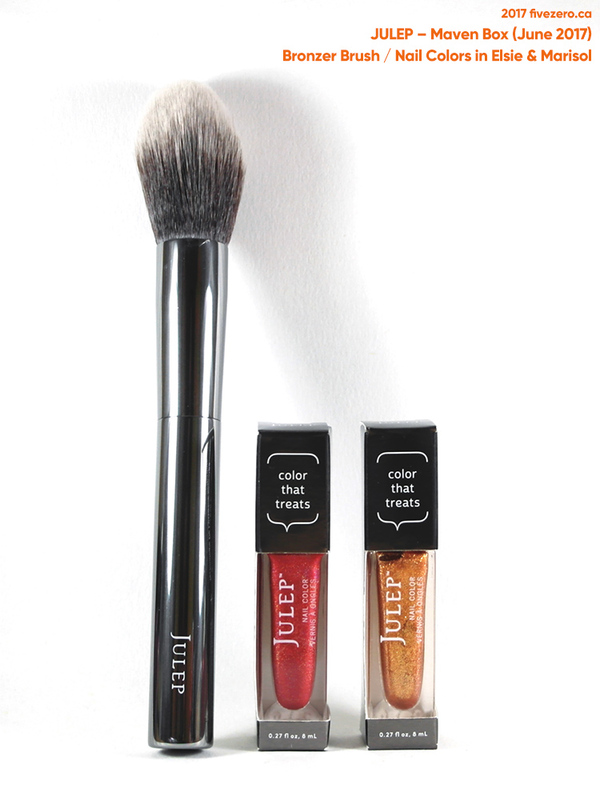 Have you ever subscribed to Julep? 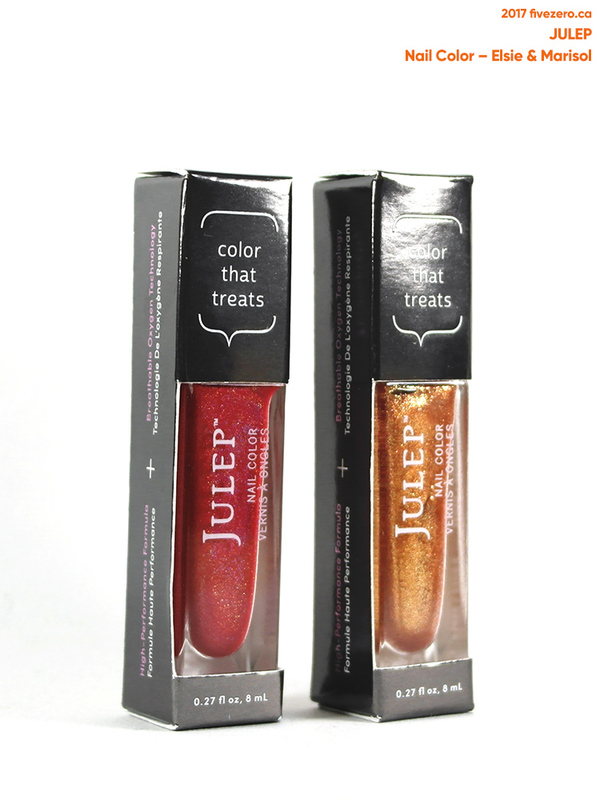 Julep is a brand that I’ve been wanting to try. My friend received a box of them for Christmas and she swears they’re the best nail polishes she’s ever used. The shimmers on some of the ones she has are so pretty – I covet them! What terrible service from Landmark but awesome service from Julep! That brush is really nice looking too – I really like that you’re able to customize the box as well. Ahh that would be a nice idea for a birthday gift! 😀 Seriously, I am having fun just browsing their site and adding stuff to my wishlist. LOL. I tried a polish over the weekend and it is very nice. Hope they’re all like this! The brush seems good, too. Soft but firm. I just got some skin care that I need to try. I’ll keep you posted. I think Julep is a lovely line. Colors are gorgeous, contemporary…. Pretty nice box you got too! 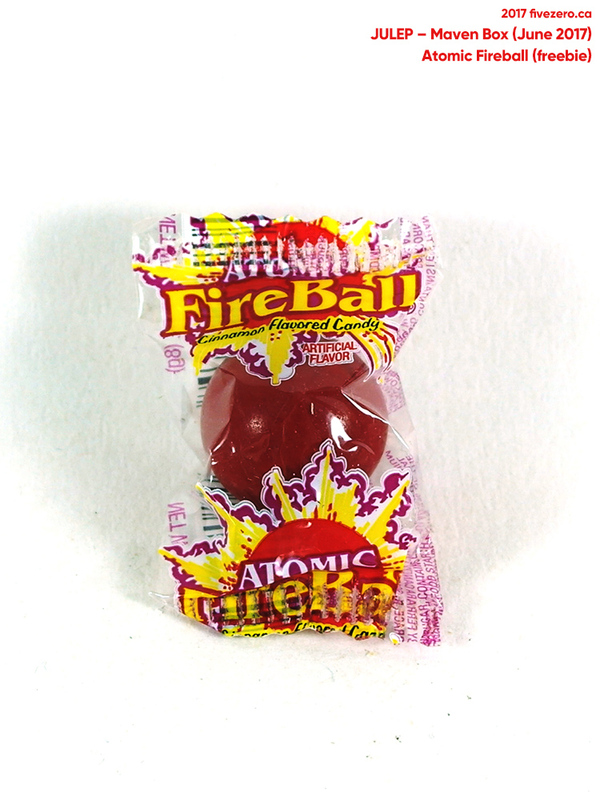 I’ll pass on the candy thing though. If it’s not chocolate, it’s not in my heart! A box you can customize? That is so incredibly awesome! And their color selection really looks amazing, your welcome box has so many things I would pick out for myself :] if I didn’t have about seventy billion polishes in my to-wear pile, I would give this subscription a go because it seems like one of the best beauty box deals.